Keyka Lou Dumplings and Patricia Bravo Scrappy Giveaway! I have given myself a long weekend before starting my new job and have been sewing up a storm these past two days. Some projects have been successful, some haven’t due to (my) error. Even with mistakes, I’ve been enjoying myself thoroughly! This Little Apples Keyka Lou dumpling is for my niece, Brooklynn, they’re quick and easy to whip together not to mention lots of fun. My mistake? I cut off the zipper by accident so I had to take it apart and will replace the zipper. I couldn’t afford to discard the materials as I only had a fat quarter. This little birdie dumpling is for Brooklynn’s sister, Ashtyn, it was the first Keyka Lou dumpling I made. I need to make something for their brother, who is 9. If anyone has ideas, let me know! Now for the Patricia Bravo Giveaway! I have won a hand full of giveaways and I think it’s finally my time to give something away. I purchased a PDF bag pattern today and decided to use my Patricia Bravo stash which has left me with a lot of delicious, juicy, fair sized scraps, many of which are larger than 5″ x 5″ and 19 different prints. Perhaps I’ll send along a Patricia Bravo dumpling if I have the time to make one! For a chance to win, all you need to do is leave one comment, I’d love to know what bags, purses or zipper puches you’ve made. This giveaway is open to anyone worldwide, just make sure I can contact you if you win. The winner will be chosen by random.org next Saturday, October 29th. This entry was posted in Giveaway and tagged Dumpling zipper bag, Kyeka Lou, Patricia Bravo by Tabatha. Bookmark the permalink. Those are some drool-worth scraps, Tabatha! The dumpling bags are super cute. This time last year, I was making a bunch of gathered clutches with Noodlehead’s pattern. So much fun. 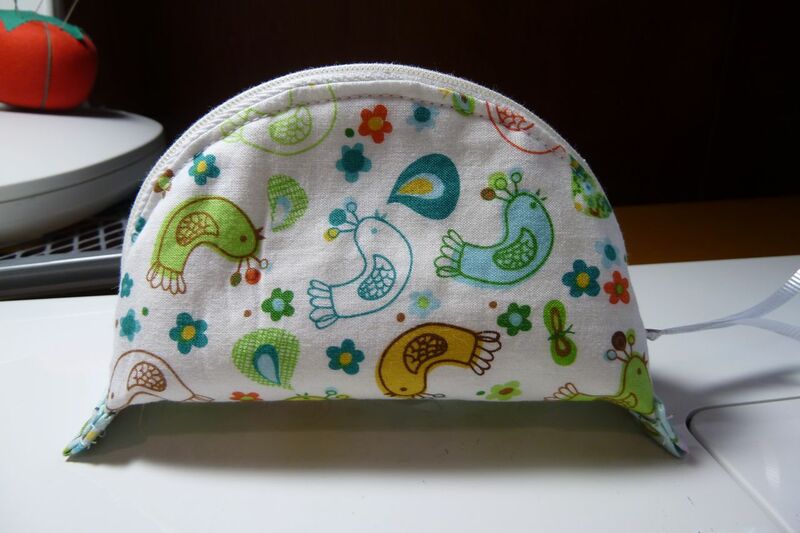 I’d like to make some of these dumplings, and a makeup bag using iron-on vinyl, and a chevron bag I’ve found free patterns for, but they are kind of further down the to-do list at the moment. Oh! Yes, these are drool worthy scraps… I would love to make bags out of theses scraps. My last bag… I made a slew of teardrop bags for nieces and friends, but the last one was one for my sister who loved my “one-hour wonder” that she sent me Gecko fabric (that I had sent to her) to make one for her. And you know me, always making bags/pouches/purses . . . it’s a problem. Oh, those scraps are awesome! I haven’t made many bags — not really a bag person. Yet. 🙂 Thanks for the giveaway, Tabatha! Those dumplings are adorable. Your nieces will love them. I saw a cool Lego bag on Freshly Pieced this week that would be great if your nephew is into Lego (or anything with small pieces like Playmobil, etc.). I love your Little Apples Dumpling! I haven’t made anything with a zip yet but I’d love to try a Dumpling! The last bag I made was a large cosmetic bag with a loop handle. I really had to wing it because I can quilt pretty darn well, but sewing, urgh. I’m impatient! I didn’t have a pattern and I wanted a zipper, so again, I just winged it! It turned out pretty good! I even made a ruffle on the zipper side! Pretty darn proud of myself! Thanks for the chance to win your sweet giveaway! Thank you for the nice words about my fabrics! I love the “Harder” dumpling, so fun! Thank you so much for stopping by and commenting Pat, what an honor! Can’t wait to get my hands on your new line, Modernology! I LOVE the fabrics–well I love fabric (.) but these are wonderful! What a fun thing to do with your leftover–I shall have to keep that in mind as I usually just hoard every snippit! 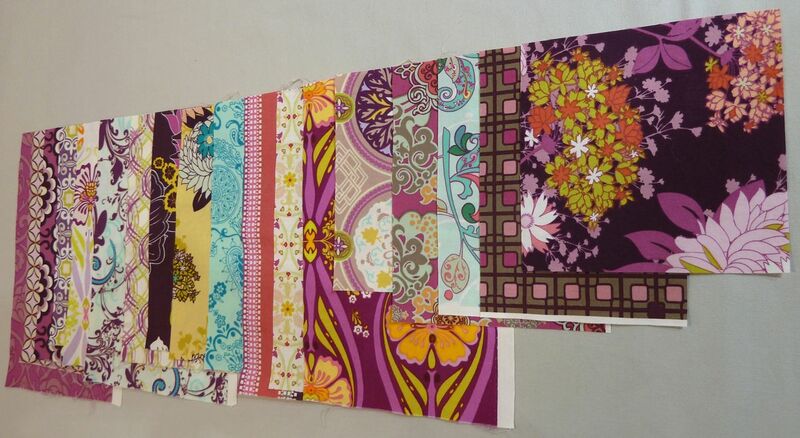 Those are lovely — I have a couple of 1/2 yard cuts from Art Gallery’s “Paradise” line, and I think at least some of these scraps will coordinate (some actually are “Paradise,” I believe). Thanks so much for offering this giveaway…fingers crossed! Bags: I have made AMH’s Multitasker tote twice. It’s a great bag — good pattern and a very, very useful bag. Have also made two of AMH’s Taxi tote (from the book Seams to Me), and one jumbo quilted tote that was semi-improvised. 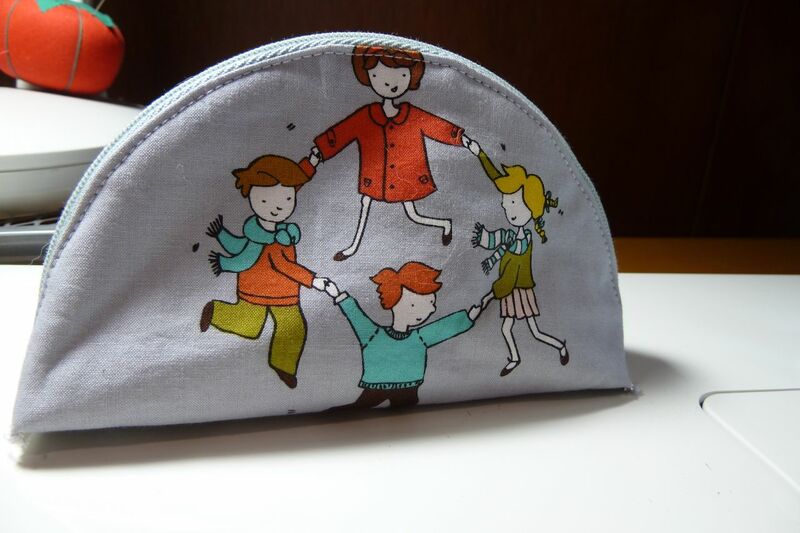 I am planning to make a whole slew of little zippered pouches as holiday gifts this year…. This giveaway is now closed, thank you everyone, for participating. The winner was Gill!